First of all I wish to thank Luana for having me on her beautiful space. 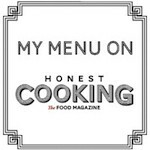 Kitchen flavors was one of those blogs that I "grew up" following and emulating. So you can imagine delight when Lubna asked me to do a guest post for her. Lubna is one of those people who needs no introduction. She is the face behind the awesome blog called Kitchen Flavors. She is an amazing cook and whips up some mouth watering dishes. She is also an extremely talented photographer. Her photographs often take by breath away. She is a very passionate blogger and a very generous friend. So generous, that she dropped everything and decided to help me out when I was facing some issues with my blog. Although we have never met, I did get a chance to speak to her a couple of times. There is something about Lubna, that we have been friends ever since. So when she asked me to do a guest post for her, I was filled with a wild enthusiasm. I knew I had to bake something special for her. 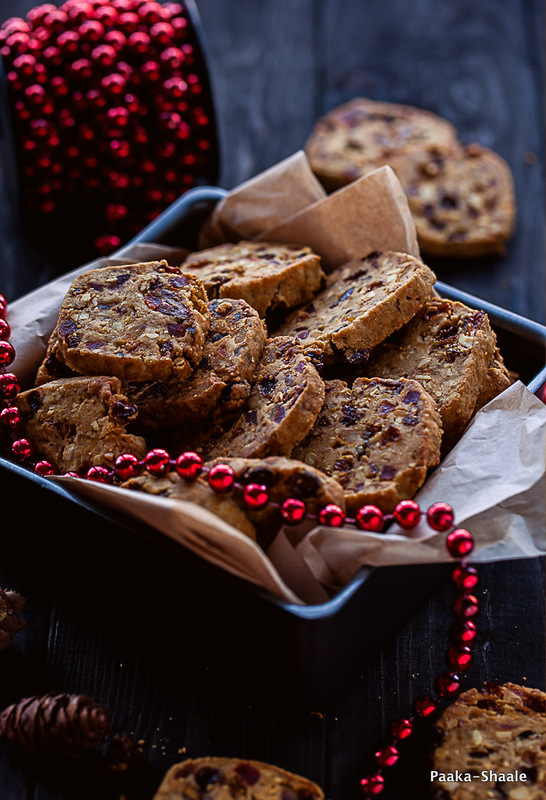 With a spring in my step, I decided to bake these delicious Christmas fruit cookies for her. 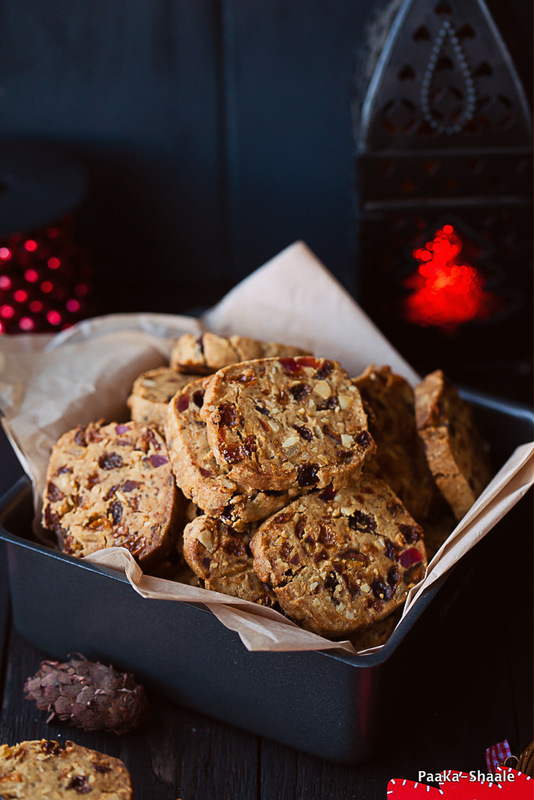 These cookies are inspired by Ina Garten's Fruit cake cookies from here. But I have made so many changes to the recipe that I am not even sure if there is any ingredient that remains unchanged. 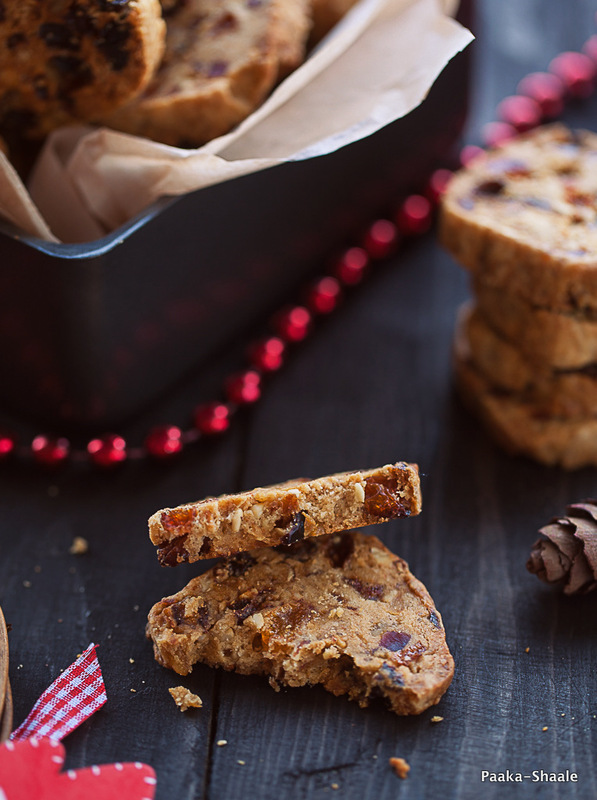 These are made with all the ingredients that go into making the traditional fruit cake. It has a whole lot of dried fruits, mixed peel and nuts. It also has the richness of butter and the goodness of the spices. 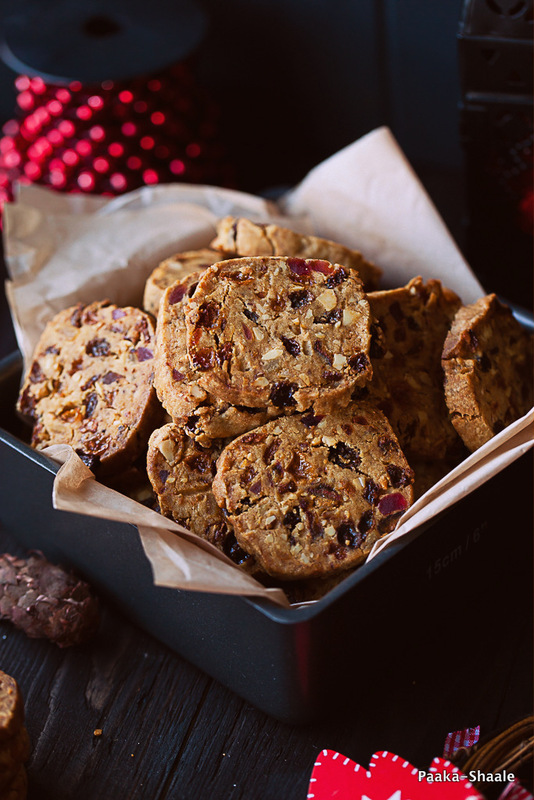 In short, these cookies are packed with all the "awesomeness" of a fruit cake. So if you are one of those people who hates fruit cake. Or for some reason you are not able to bake one, then cookies are just for you. You can enjoy the holiday flavor with a crisp and chewy texture. So head over to Lubna's blog and check out the recipe. This is surely an enticing treat! !